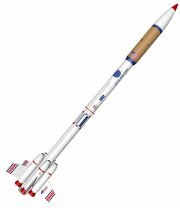 Estes SLV [EST-7236] - $26.39 : Sirius Rocketry Online Store, For the Serious Rocketeer! Lots of parts that builds into an awesome scale-like rocket! 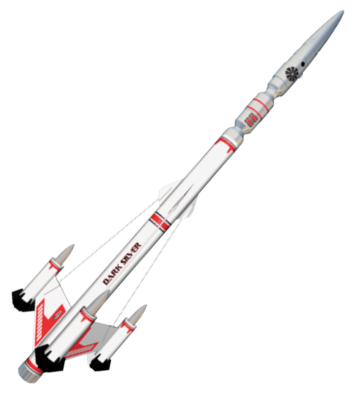 The ESTES SLV will blast off the launch pad and reach heights of 1000 feet when powered by an E12-4 engine! Standing over 34 inches tall, this "Satellite Launch Vehicle" is very impressive on the launch pad and even more so in the sky. High quality body tubes and laser cut wood fins are just some of the outstanding features of this kit. 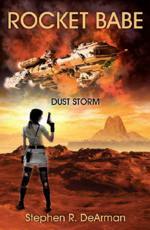 *Requires Estes E™ Launch Controller and Porta-Pad E when launching E Engines - sold separately.